The topics studied within the Volumes of The Weaver Curriculum® are varied throughout the year, but the Day by Day lesson plan book helps you pull everything together. The result? A biblical worldview of history, science, and life in general. The Day by Day isn't just a boring schedule of when to teach the various objectives within the Volume, either. Each day offers a "Thought for Today," a list of resources needed, creative writing prompts, and space to record math and phonics/reading assignments. Although it is possible to pick up a Weaver Volume and start teaching without planning ahead, you'll find your day going smoother if you know what you're about to teach. When you have multiple grade levels (and multiple topics) to teach, the structure of a pre-planned lesson offers peace of mind. Rather than plan your own lessons, let the Day by Day lesson plan book do it for you! Whether you use it to teach from, or as a guide to plan your own lessons, you'll benefit from the Day by Day. Completely structured, yet completely flexible. The result? Lesson plans that complement your Weaver studies! Why reinvent the wheel? 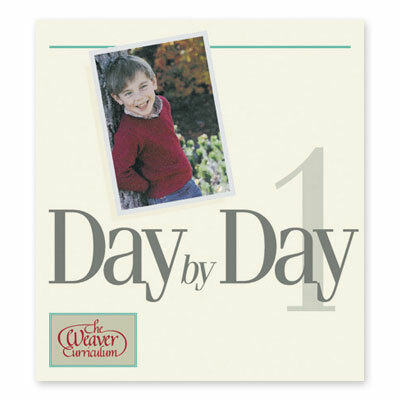 Order your copy of Weaver Day by Day, Volume 1, from Alpha Omega Publications today.